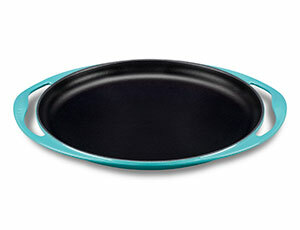 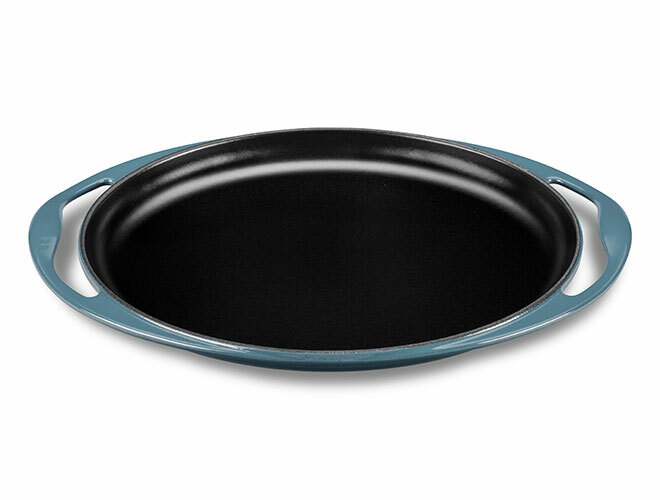 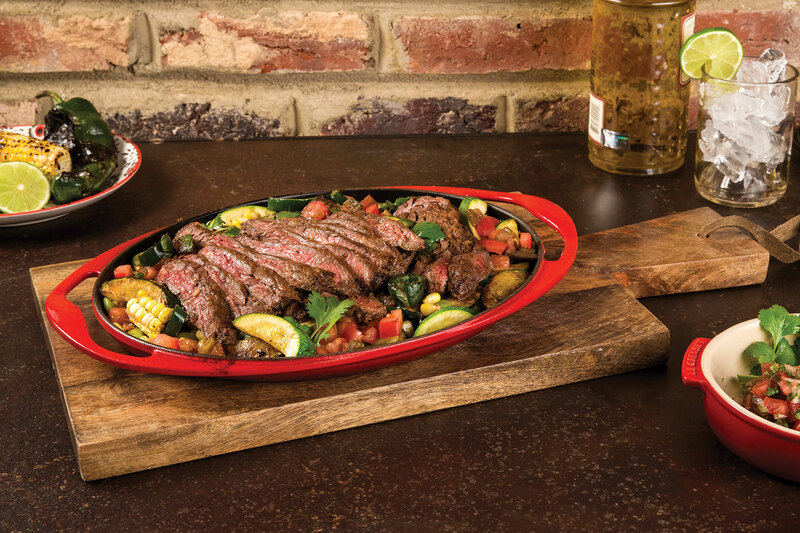 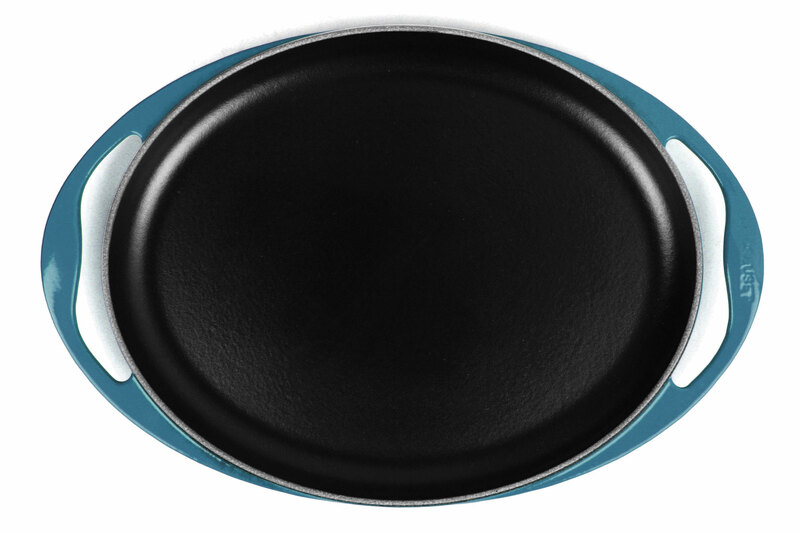 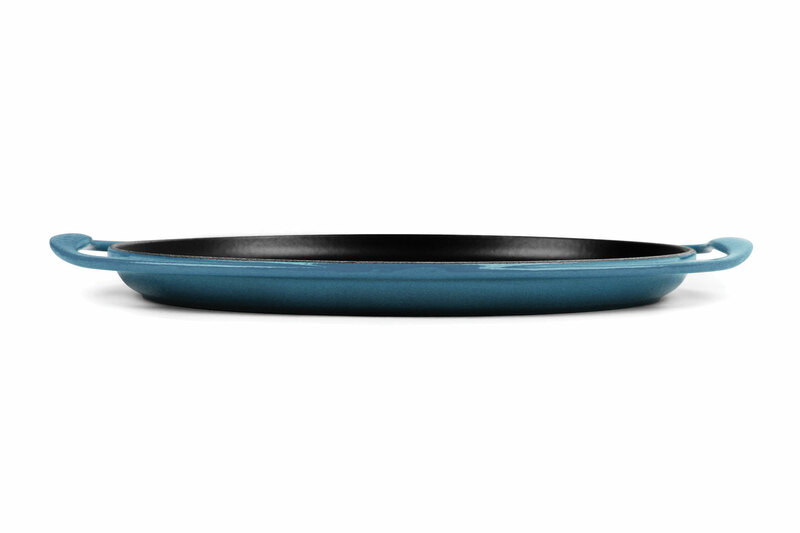 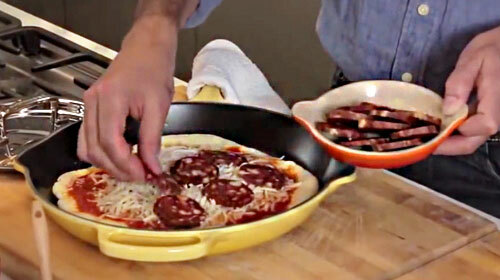 The Le Creuset Sizzle Platter Oval Griddle features a flat surface, allowing seared meats, seafood and vegetables to maintain their crisp edges. 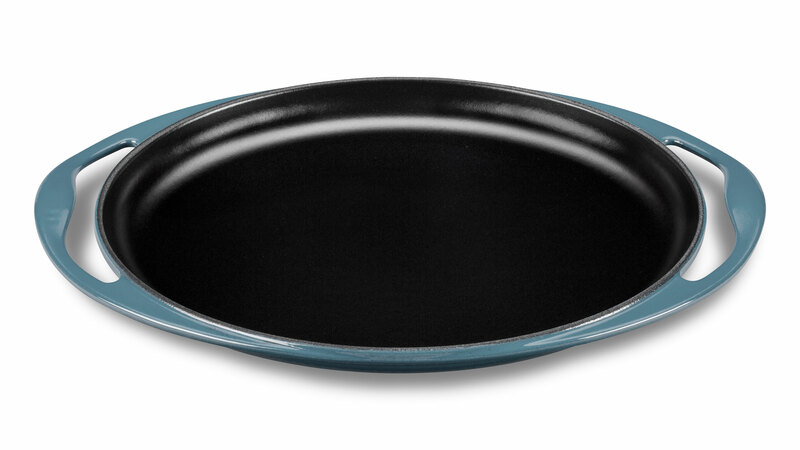 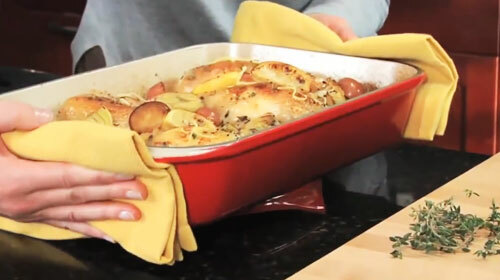 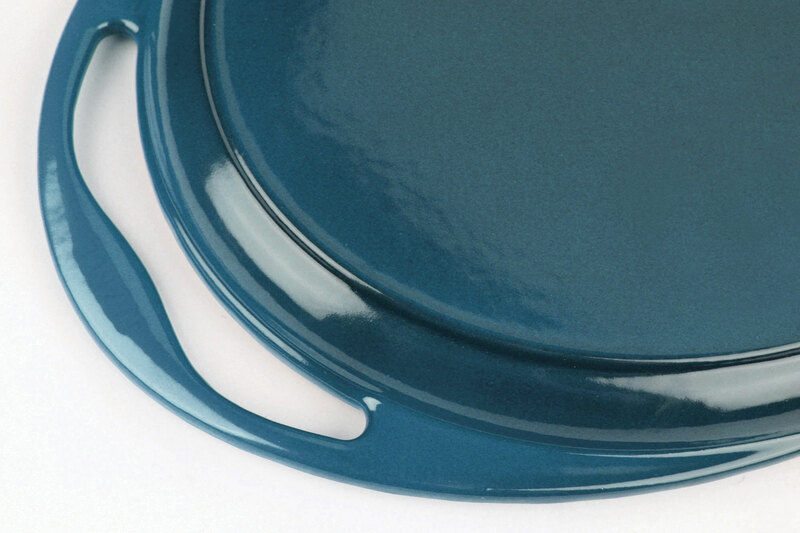 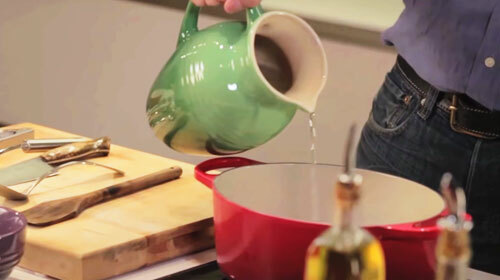 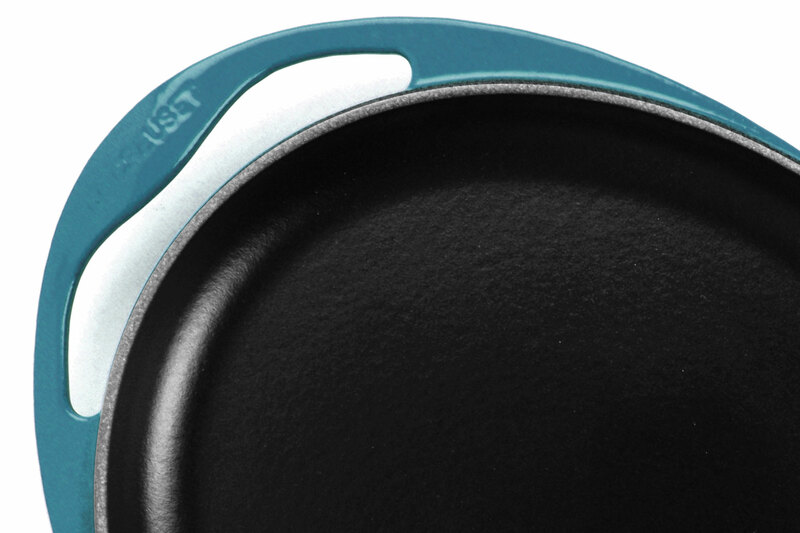 Finished in Le Creuset's bold exterior enamel and surrounded by low-profile with gently sloping sides, this sizzle platter makes a unique and decorative addition to any stovetop. 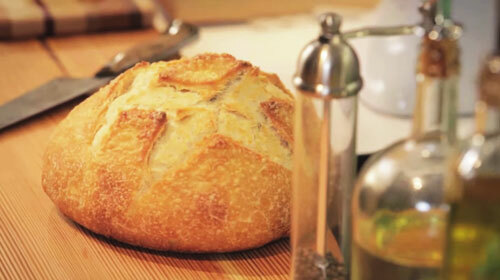 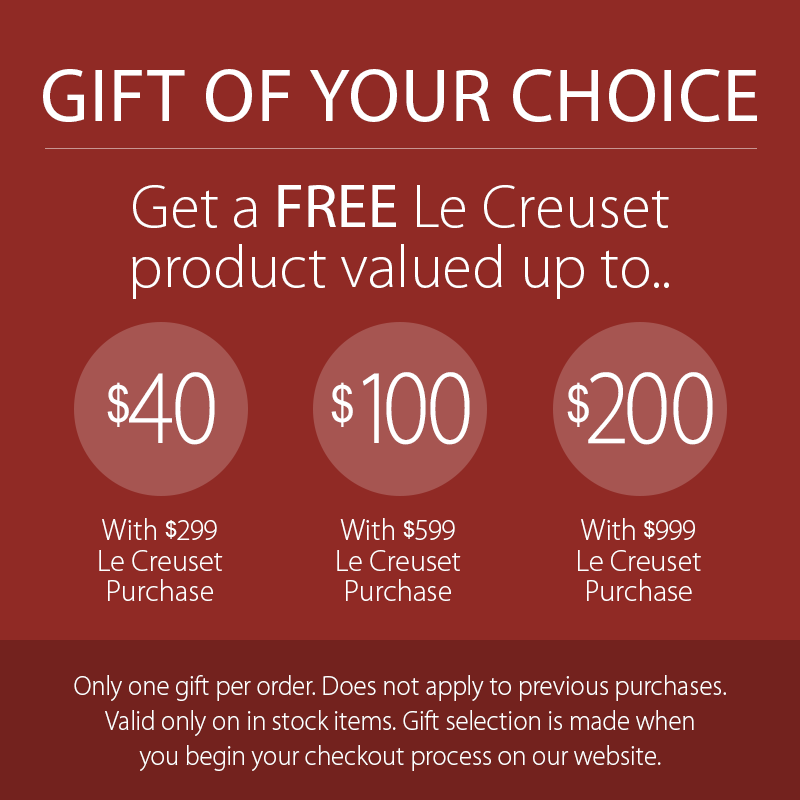 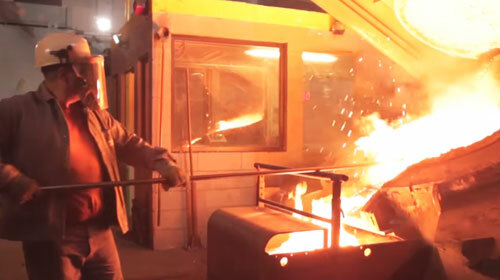 Made in France with a lifetime warranty.